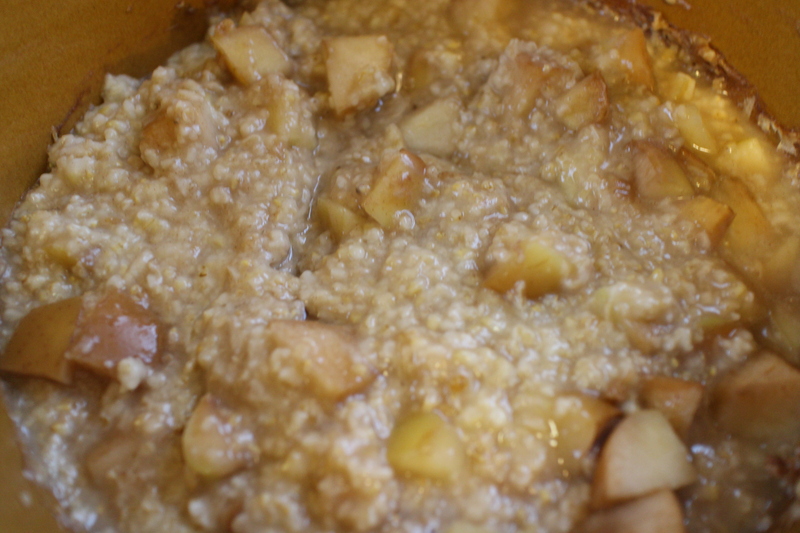 Recipe: Apple Pie Oatmeal | Finding delight. Today, I thought I’d share a really simple crock-pot recipe that you can make with items you may already have on hand! It allows you to cook a hearty breakfast WHILE YOU’RE SLEEPING which is basically sorcery in my eyes. This recipe makes 6 servings which is a perfect hot meal for one family OR if you’re a household of one, like me, you can set and forget on Saturday night, enjoy a no-fuss breakfast on Sunday and then mason jar the rest up! You’ll have oats ready to go for the rest of the work week. Just microwave and GO! Crock-pots essentially allow for the laziest meal prepping imaginable…and that’s why I love them. Before the water was poured in! Put all the ingredients into your crock-pot and set on LOW for 7-8 hours. Wake up in the morning and serve up a bowl! 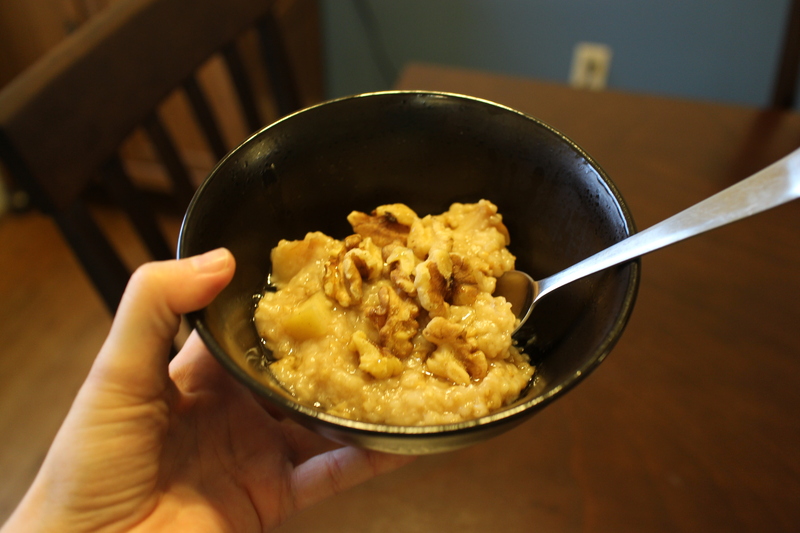 Top with walnuts, more cinnamon, honey, nut butter, or anything else your heart desires. Store extra in containers in the refrigerator for easy meals all week. 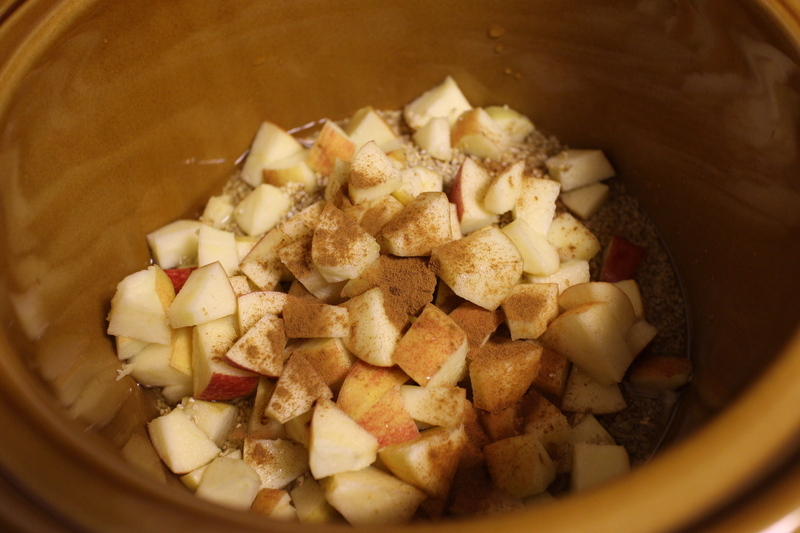 What’s YOUR favorite crock-pot recipe? Do you meal prep to make the work week easier on your self? I would highly recommend it. Your time is precious, doll!